What is the Reef Alliance: Growing a Great Barrier Reef Project? Reef Alliance partners are committed to a shared vision and with the announcement of Reef Trust III funding, 12 of the 14 Reef Alliance partners chose to work together to submit one collaborative bid. The Reef Trust III initiative supports support cane farmers to move beyond industry best practice, reduce erosion loss from grazing lands and maintaining water quality improvement momentum in grains, dairy and horticulture. The collaborative application was successful and in May 2016, the Reef Alliance: Growing a Great Barrier Reef Project (GGBR) commenced. The GGBR project is a balanced and integrated approach to advance farmer practices beyond industry best management practice (BMP) and fast track the implementation of innovative practices. It builds on the last eight years of collaborative partnership to implement one integrated project that encourages consistent approaches, creates efficiencies and avoids duplication. The project aligns to targets within the Reef 2050 Long-Term Sustainability Plan and the Reef Water Quality Protection Plan. The Reef Alliance represents an effective and ground-breaking development in catchment landscape management in Australia by bringing together industry, regional NRM bodies and the conservation sector with a common goal of assisting to secure the future health of the Reef. The partnership provides a mechanism to lead and co-ordinate an adaptive program of land use change and to monitor, evaluate and report those changes at a local and Reef wide scale. AgForce Queensland is a peak organisation representing Queensland’s rural producers. We strive to ensure the long term growth, viability, competitiveness and profitability of broad acre industries of cattle, grain, sheep and wool in Queensland. 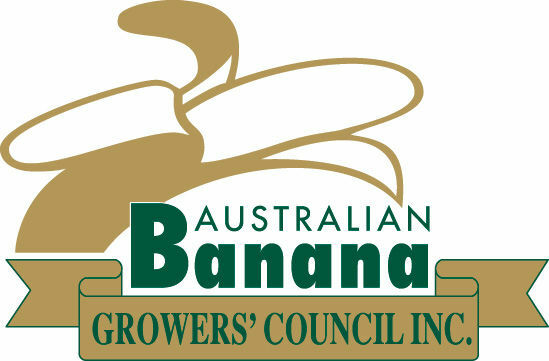 The Australian Banana Growers’ Council (ABGC) is the national peak industry body representing the interests of Australia’s commercial banana growers. We advance the interests of Australian banana growers through effective leadership and representation that ensures a strong industry future. The Burnett Mary Regional Group (BMRG) is the peak body for natural resource management (NRM) for a region comprising the Burnett and Mary river catchments. BMRG delivers practical solutions that protect and enhance our region’s natural assets. We seek to build and maintain strong, strategic partnerships with government, industry and local communities and develop targeted programs that meet specific natural resource management needs. CANEGROWERS Australia represents around 75% of Australia’s sugarcane growers. CANEGROWERS is a highly successful lobby, representation and services group, with 19 offices across Queensland and New South Wales. Fitzroy Basin Association Inc. (FBA) is Central Queensland’s lead natural resource management organisation. At over 156,000 km2, the Fitzroy Basin is almost twice the size of Tasmania and the largest catchment flowing to the Great Barrier Reef. FBA strives to protect our region’s natural assets; improve land condition and land management practices; and ensure healthy waterways flow to the reef. Growcom is the peak representative body for Queensland horticulture and strives for the long term growth and profitability of horticultural farms and the industry. Our core membership consists of Queensland’s fruit and vegetable producers and individuals, groups and industries who have a stake or interest in the future of Queensland horticulture. NQ Dry Tropics is an independent, not-for-profit organisation that is committed to sustaining our region’s natural resources for the benefit of current and future generations. We are a non-governmental Natural Resource Management (NRM) body operating in the 146,000km² Burdekin Dry Tropics region. Through the Dairying Better ‘n Better program, a partnership between QDO and Subtropical Dairy, the industry has delivered NRM programs that have derived significant outcomes to dairy producers’ productivity whilst improving the natural resource base. The Queensland Farmers’ Federation is the united voice of intensive agriculture in Queensland. It is a federation that represents the interests of 15 of Queensland’s peak rural industry organisations, which in turn collectively represent more than 13,000 primary producers across Queensland. Queensland Regional NRM Groups’ Collective focuses on the statewide delivery of regional natural resource management outcomes in partnership with industry, community and government. We act as the representative body for natural resource management in Queensland, providing a single, strong voice for our members – the 14 regional natural resource management groups covering Queensland’s entire land mass. How does the Reef Alliance work? The Reef Alliance Partners nominated Queensland Farmers’ Federation (QFF) to act as their representative and lead of the GGBR project. QFF hold the head agreement with the Australian Government and sub-contract the delivery of works to the GGBR project partners. In addition to managing the contract, QFF are also responsible for coordinating a reef-wide monitoring and evaluation, communications and a central database to house project information. Delivery partners work with their local communities to implement a mix of extension, incentive and innovative activities aimed at improving the quality of water entering the receiving waters of the GBR. Reef Alliance delivery partners work with their stakeholders to ensure the project includes locally relevant information and the activities are appropriate for the region. All activities align with the Water Quality Risk Frameworks developed by the QLD Governments Paddock to Reef Program and the four regional Water Quality Improvement Plans. The Reef Alliance Project Management Committee oversee the projects delivery and provides the higher level governance. There are a number of operational groups that aim to ensure consistency, where possible, across the project area, tracks progress towards to targets and provide opportunities for knowledge sharing.